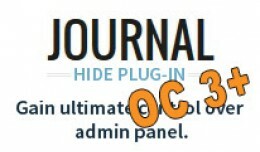 JOURNAL Hide Admin Panel / Menu Plugin for OC3.0+ ------------------------------------------------- What it does ------------------------------------------------- This extension grants you the ability to control what users can do and.. 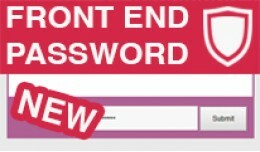 Password Protect Your Front-End - Customizable (VQMOD & OCMOD) ------------------------------------------------- What it does ------------------------------------------------- This extension is really useful. It protect your front en.. 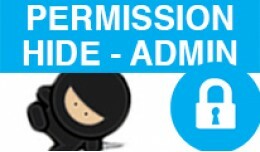 Hide User Permissions, Super Ninja Admin, acts like Ninja What it does With this extension you can create an admin group with extra privileges that can’t be seen by other admins. It acts under the hood, unnoticed. You can hide pr.. 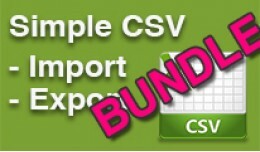 SIMPLE CSV IMPORT / EXPORT, ANY DATABASE TABLE, BUNDLE OC1.5 + OC2.0 VERSION ------------------------------------------------- What it does ------------------------------------------------- This extension was designed to allow you.. Simple CSV Import / Export, Any Database Table B.. 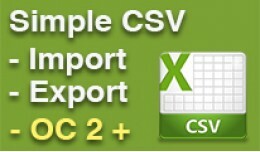 SIMPLE CSV IMPORT / EXPORT, ANY DATABASE TABLE, OPEN CART 2+ ------------------------------------------------- What it does ------------------------------------------------- This extension was designed to allow you to export table da.. 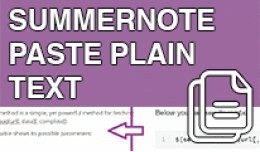 Simple CSV Import / Export, Any Database Table, ..
Summernote Paste Plain Text What it does Whit this extension you can copy any text from any site or from word and it will paste it as a plain text which is easy to edit. Pasted text will be un-stylized thus the user does not ha..
Products and Categories after Log-In Support: support@dotbox.sk Works with every custom theme ! 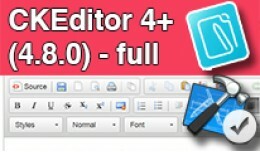 ------------------------------------------------- What it does ------------------------------------------------- With this extension .. 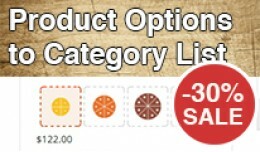 Product Options to Category List SALE !!! 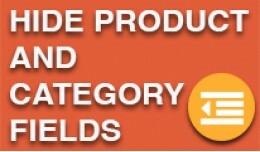 JOURNAL 2 AND JOURNAL 3 COMPATIBLE What it does Product Options to Category List is an opencart extension. 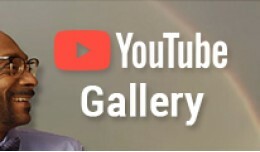 It add the ability to display and customize any product option to category lis..
YouTube Gallery Ultimate Video Solution Looking for easy and fast YouTube integration to your site? … We have you covered. YouTube Gallery Ultimate Video Solution module allow you to create YouTube galleries on your site and make your vi.. 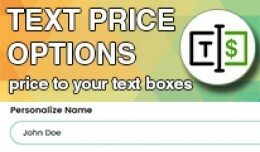 Text Price Options PRO What it does This extension ads a new option feature to your opencart stores. 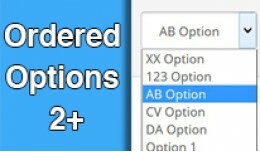 You can create dynamic text input boxes which can be charged. 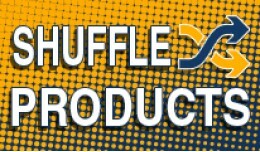 It is very useful to create text personalization for your products a..
SHUFFLE PRODUCTS What it does This handy extension will give you option to shuffle products on category pages on each visit. 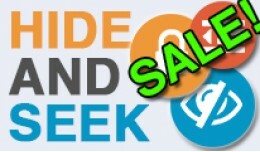 80% of products are clicked on the first category page and rest are getting minimal attention. This exten..
Seo Friendly Urls What it does Seo Friendly Urls is easy to use module for changing the url routes of the url links that do not have that option in the admin panel, for example: account/account, account/login, checkout/cart, checko.. 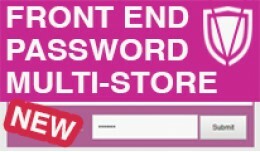 Password Protect Your Front-End - MULTI-STORE ------------------------------------------------- What it does ------------------------------------------------- This extension is really useful. 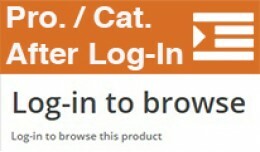 It protect your front end of your stores ..
============================================================ HIDE ADMIN PRODUCTS AND CATEGORY FIELDS ============================================================ ------------------------------------------------- What it does -------..